Forklift accidents are too common for workers in the industry. According to OSHA, the top causes of these accidents are forklift overturns, which accounts for 41% of annual fatalities. What causes forklift overturns? Unstable loads, unloading and loading improperly, and operating at inappropriately high speeds. A recent article issued by OSHA details the inspection of the U.S. Postal Service Network Distribution Center in Iowa upon receiving complaints about workers not being protected from unsafe situations. During the investigation, OSHA found that forklift operators were being instructed to handle unstable loads and to drive without a visible path. Numerous workers on this worksite were vulnerable to being crushed and struck from objects. OSHA also found that the workers’ employer had not properly trained them to recognize and avoid these hazards. As a result, the U.S. Postal Service division in Iowa is being fined a total of $88,000 for neglecting to help prevent the number one cause of forklift-related deaths. Secure the load so it is stable and can’t move around. Don’t try to pick up damaged loads unless it has been secured by wrapping or banding. Ensure the load is as centered as possible on the forklift. When it is impossible to avoid carrying an off-center load, arrange it so the heaviest part is nearest to the front of the wheels. Do not exceed the capacity of your forklift. Use the load extension backrest when needed. Approach the load carefully and slowly. Tip-overs often occur when the driver is moving too fast. 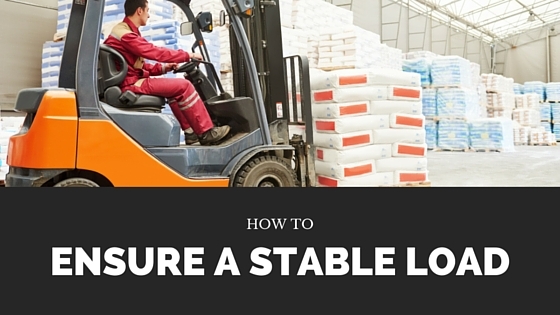 Ensure the forklift is directly in front of the load and is centered to it, so the forks are at the correct height. Set the direction control to neutral. Only raise the forks if the forklift is stopped and the brake is set. Before picking up the load, ensure your overhead is clear. Do not tilt forward with a load with the forks elevated except when picking up a load. When stacking a load, tilt the mast backward just enough to stabilize it. When working with a maximum capacity load, tilt the mast backward and position the load so the heaviest part is against the carriage. Move the forklift with the mast tilted back. When you are ready to stack the load, tilt the mast forward very slowly, and never travel with the mast tilted forward. Level the forks before lifting a load. Place the forks as far under the load as possible. Center the weight of the load between the forks. You can adjust the forks manually or with a fork positioner. Tilt the mast back to stabilize the load. Ensure there is adequate overhead clearance before lifting the load. Slowly lift the load and tilt the mast backward slightly to stabilize it. Slowly return the lift control to the neutral position. Ensure the load is secure. Slowly move the forklift away from the stack. Stop the truck and return the mast to the vertical position before lowering the load. Lower the load so that the lowest point is 15 to 20 cm from the floor. Ensuring a stable load starts with learning the safe practices of overall load handling. If you need additional training to help you identify the various hazards that lead to an unstable forklift, check out the forklift certification training with CertifyMe.net. Their online program is OSHA-compliant, takes only about one hour to complete, and combines written instructions as well as a hands-on practical to ensure you know how to handle loads properly and safely with a forklift.